Every heating system needs gas furnace repairs at some point. The likelihood of finding an American home that does not use a heater are slim to none. You must have one of these heating systems stashed up in a utility closet or the basement at home. Often, you pass by it about your day and don’t give it much thought. If it started acting up, can you troubleshoot its basic problems? Different types of furnaces are available, and each are designed to meet different heating needs. Some feature self-contained indoor parts while others have some internal and external parts. There are models designed for home heating only. Others offer air conditioning as well as heating. Though it might sound simple, it’s quite confusing. Most homeowners have very little, if any, knowledge of furnaces. Any heating expert can tell you that you do not have to worry too much about the intricacies of furnaces. It does pay off to know what you can and leave the rest of the technical aspects to the experts. Houston Admiral offers 24-hour reliable heating repairs, maintenance, and replacement services. Calm them on the phone at 281-876-9400. Visit https://goadmiral.com for more about the heating services they offer. Space heating contributes to 45% of a household’s total power costs. The average household spends an average of $700 every year on natural gas furnace heating. For a system that has a significant impact on your spending learning the basics of how it works comes in handy. 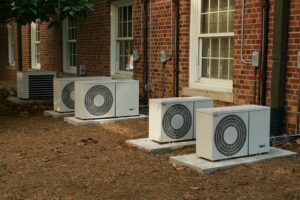 Natural gas furnaces, also known as forced air gas furnaces, feature three main parts. The heat source, the distribution channel, and the control system make up the heater. The heater takes on the role of the heat source. The distribution channel feature duct works. The pipes work to supply cold air for warming to the heater and relay the warm air throughout your home. The thermostat functions as the control system. Messages on desired temperatures are set through the thermostat. The furnace also communicates with the thermostat to regulate heat distribution. Gas-fueled furnaces are inexpensive to run compared to other types of space heaters. Their efficiency rates are higher and have longer lifespans compared to other heaters, too. The shelf life of most gas-powered heaters is 15 to 30 years. The natural gas heater makes use of a blower motor that tends to operate loudly. Like any other home system, heaters fail to work as expected sometimes. They might malfunction or stall some point, too. Problems with a furnace often originate or affect its three main components. The heat source can stop producing heat or generate less heat than it should. The problem comes about as a result of heat distribution problems. Dirty filters affect the quality of heat distribution. The distribution channel may feature obstructions or leakages leading to heat loss. Ducting systems that are not insulated properly also affect heat distribution efficiency. The control system can run out of battery power for older models. The thermostat can also malfunction leading to temperature control issues. 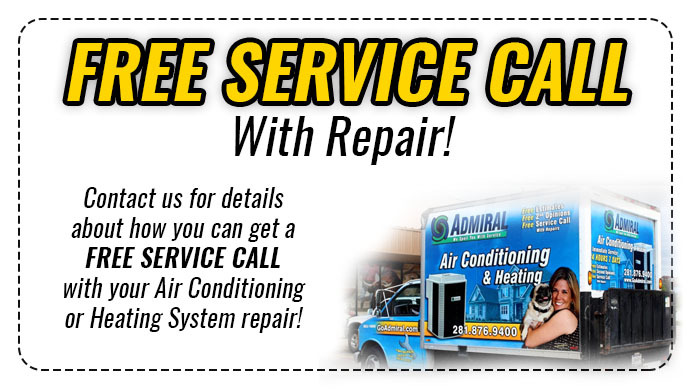 When your gas furnace suffers from system problems, call Houston Admiral to fix them. Get them on the phone at 281-876-9400 or visit https://goadmiral.com. Before calling in the experts, you can troubleshoot heater problems. Some of the common issues affecting heating systems are things that you can fix yourself. For instance, you can replace a thermostat’s batteries if it is a problem. Cleaning the heater’s air filters and replacing them is something you can do too. It makes sense to have a professional heating show you how to do it the first time around. The heating system’s parts placed outside your home need cleaning and inspection. Keeping the area around the equipment unobstructed reduces the likelihood of deterioration issues. You can check the vents and ductwork on a regular basis for leakages. A walk through can identify these problems, but you need a furnace expert to fix the problem. 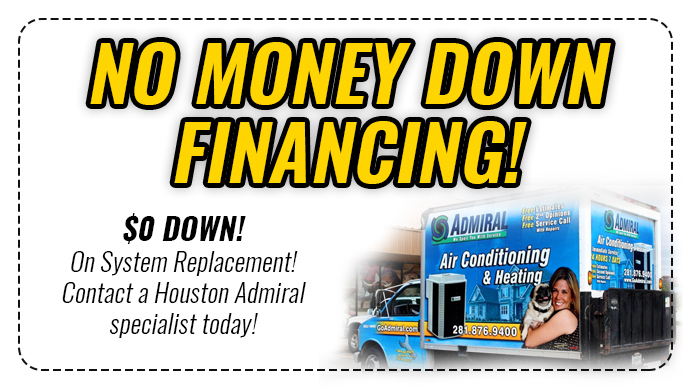 Houston Admiral is the company you want to call when your heating system breaks down. The heating repairs company provides emergency 24-hour services. Call them on the phone at 281-876-9400. Visit https://goadmiral.com for more on their furnace repair services. Natural gas furnaces come with high-efficiency rates starting at 59% to 98%. Many factors, including the heating system’s age, affect its efficiency level. 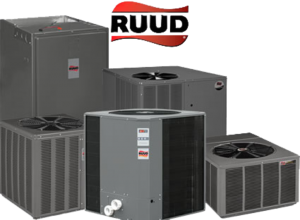 The AFUE rating refers to a furnace’s efficiency level. It measures a furnace’s annual fuel consumption. Most furnaces have AFUE ratings going all the way up to 98%. It means that the furnace uses 98% of the consumed fuel to heat your home. With such a furnace, the remaining 2% gets expelled through the vents or lost in other ways. Some natural gas furnace repairs can help in enhancing a heater’s efficiency. The vent pipes and the state of the chimney contribute to energy efficiency issues. Broken pipework needs fixing, and obstructed vents should get cleared out. Fuel input, as well as flame characteristics, also affect efficiency. The flames should be all blue in color. Yellow flames signal venting problems. Ensure that carbon monoxide and smoke detectors near the furnace are functional. Upgrade your ducting system if needed and fix leaks as soon as they occur. Insulate the ducts to enhance efficiency further. The most important aspect of running a heating system is knowing when to call in the experts. More than often, the signs that a heating system is about to break down start showing up early enough. Natural gas furnaces produce a given level of sound. When they start clanking or hissing you need to call for help. If you smell gases coming out of the heater area, turn off the heating system and get help. If you have tried the furnace troubleshooting methods with no luck, the next step is to call the experts. Do not ignore these signs and get heating repairs services as soon as possible. Houston Admiral offers gas furnace repairs, installations, maintenance, and replacement services. Email us through https://goadmiral.com or on the phone at 281-876-9400. Houston Admiral is the gas furnace repairs company you want on call to fix your furnace issues.